Embarking on a journey as a first-year teacher can feel daunting and chaotic. Each person is different and has varying knowledge and strengths to bring. A piece of advice that may help one teacher may be useless to another, so I only want to speak from my position and say that these are some tips and tricks that would’ve helped me as I began my experience here, with this post more oriented towards moving and transitioning, and I’ll soon release tips for the classroom. All in all, this time will be full of growth and learning, and an experience you will never forget! I cannot reiterate this enough. You’ve probably heard this from a thousand different people, and still cling to that fifth pair of pants lingering on top of your suitcase. But I’ll be the thousand and first person to say it. Pack light! This time around I came with only one big suitcase and I do not regret it, as I’ve already accumulated so many new items of clothing in the last two months. Pack for the current season and the next, and buy all the rest here. 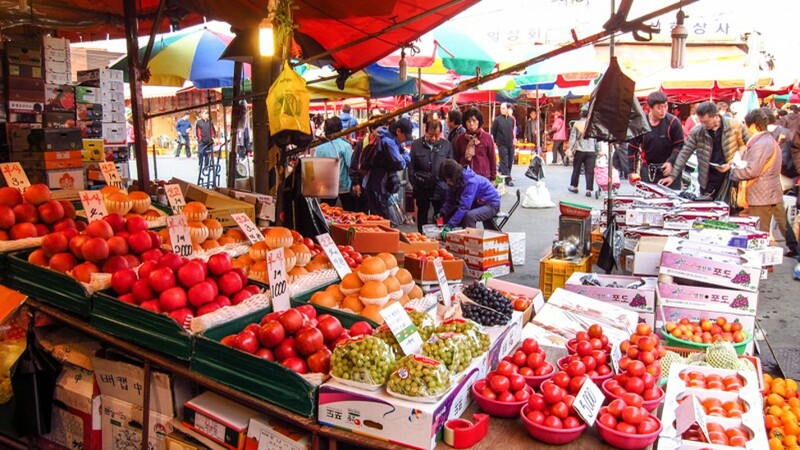 It is tempting to go shopping in Myeongdong or at the street stalls in Hongdae once you arrive at training, but you should check for things elsewhere first. 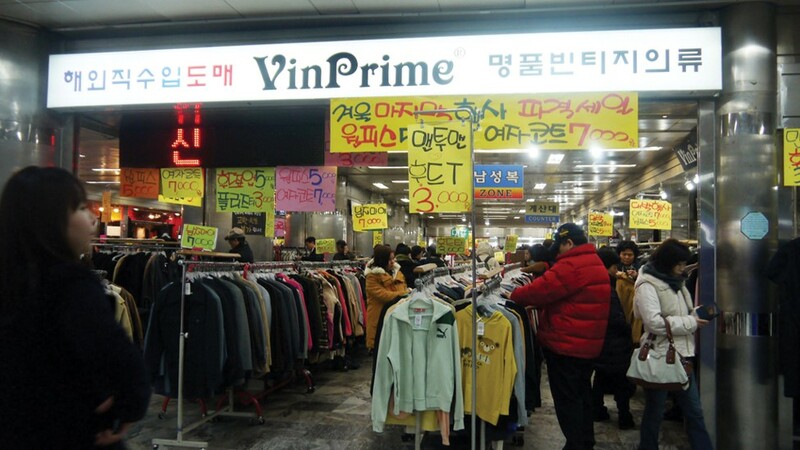 Specifically, Vinprime is a chain of thrift shops that has incredible gently used clothes. Coats and jackets can retail for more than 100,000 KRW on average, and I’ve picked up some there for 10,000-20,000. The selection is nice and very clean. Search “binprime” on naver maps. My favorite locations are the ones in Jamsil station near exit 11, and in Hapjeong station. Also, find your local flea market! I went to Dongmyo Flea market (Dongmyo station, exit 3) this past Sunday and found brand new shoes selling at the big online shops for five thousand won, and I even got a pair of heels for free! They have a vast selection of winter apparel, stationery, home decor, appliances, and anything else you could possibly think of. Bring a big bag and a snack, as you’ll have to dig, but the gems will be worth it. 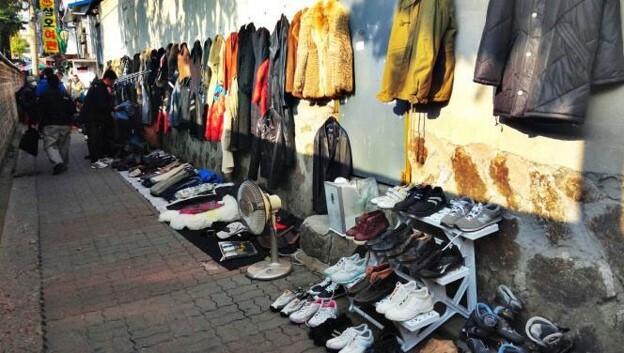 Here is also where you’ll be able to find bigger sized shoes and clothing. The caveat to all of that of course is I am five feet tall, so it’s easy for me to find things here. But there are things to keep in mind if you have sensitive teeth, you should bring toothpaste as many here don’t contain fluoride, even the western brands they import like Sensodyne. Another thing you should pack is hair care products. If you don’t have perfectly straight and healthy hair, it’s a bit of a mission to find adequate products, especially if you have any type of curly hair or dandruff. There is a small selection of natural products and things like that, so keep that in mind! Bring shoes! Sizes here run small, and you may find yourself shelling out a big sum at the western chains, so bring all the shoes you need to survive work, exercise, and daily wear. You may feel it to be pretty overwhelming to bring a stack of bills with you, but this way you’ll save yourself the costs of ATM withdrawal fees and international swipe fees. 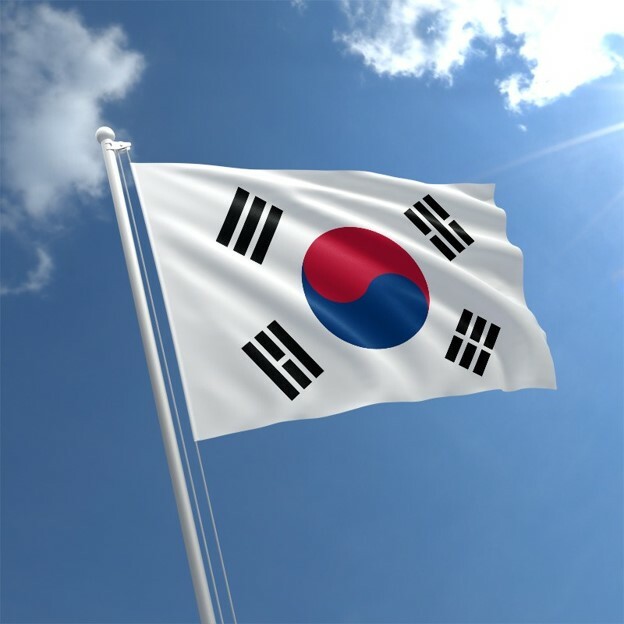 South Korea is very safe, and coupled with practical care and attention on your part, you will be good. I’d say bring a few hundred, and keep it safe with you in a locked pouch in the hotel and you should be more than fine. When you do need to convert, most banks will exchange for you at a better rate than the currency exchange places. Banks like KB, Hana, and Woori are bigger banks that often have English proficient speakers. Don’t forget to bring your passport when you go! Maybe it’s because I lived here once before so I’m more acclimated or because I tether to WiFi and prep google maps and things like that when I’m connected, but I’ve been here for almost two months now without a working cell phone. I don’t consider myself off the grid whatsoever, and I travel around a fair amount, on public transport majority of the time. But I never feel unequipped or nervous. WiFi is great, and you can find it in most subway stations. Also, iptime is your friend! You can find it on the street a lot of the time so you can see how you feel before deciding to get a phone. Personally, I can see myself winging it for the foreseeable future and see how long I can last without one. Sign up for Facebook groups to get a better sense of the community here. I’m part of Seoul Underground Music, Expat Women in Korea, and Yoga in Seoul to name a few. These pages will help you get acclimated and find good spaces. Here are just a few tips on how to acclimate to a big move. If you find yourself reading this and have more questions, feel free to send me an email (nicoleksalvador@gmail.com) and I’ll be happy to help.